Warner bed and breakfast travel guide for romantic, historic and adventure b&b's. 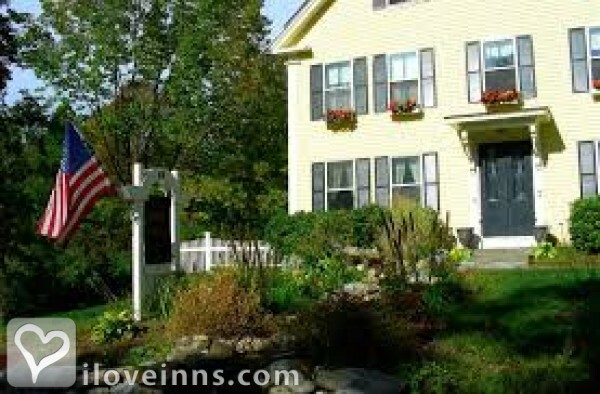 Browse through the iLoveInns.com database of Warner, New Hampshire bed and breakfasts and country inns to find detailed listings that include room rates, special deals and area activities. You can click on the 'check rates and availability' button to contact the innkeeper. Recently named as a 'Hidden Gem' by the Boston Globe, Warner is ideally situated in central New Hampshire within a brief drive to Mt Sunapee and Pat's Peak for some of the top skiing in NH. Warner is home to the region's Fall Foliage Festival every Columbus Day weekend in NH. Miles of hiking and kayaking trails will excit By The Maples at Warner. Warner, NH; proudly named a 'Hidden Gem' by the Boston Globe, is located in central NH making this the perfect launching point to see all of New England during an extended stay! We are minutes away from top skiing at both Mt. Sunapee (No. 2 in the area) and Pat's Peak (Best Value skiing), miles of hiking and kayaking trails. From vineyards to breweries, specialty shopping to outlet shopping, Fall Foliage Festival to NASCAR, museums to theatre - it's all nearby. Restaurants nearby include The Local - with nightly entertainment on weekends, The Foothills with their award-winning cinnamon rolls, Schoodacs - another award winner for their coffee, The Barley House, Number 5 Tavern and Peter Christian's Tavern for outstanding local flair! By The Maples at Warner.